Eastleigh Borough Council: Pure Town Planning has just helped out a private vehicle hire company operating from an industrial estate in Eastleigh by securing retrospective planning permission. The company specialises in providing transport to take disabled children to school across Hampshire and had been operating from the industrial estate for many years. 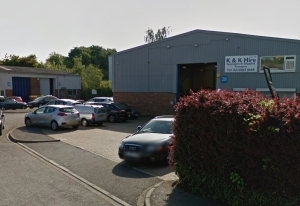 The use of a premises as a vehicle depot, despite having many similarities to Use Class B1, B2 and B8 uses (which were all permitted in these units) is a use falling outside of the Use Classes Order – usually termed “sui generis”. Unfortunately as the company had moved units they had not clocked up the ten years which would be necessary to ensure that the change of use had become lawful. Clearly the use had been operating for many years without causing any concerns as Eastleigh Borough Council had taken no action. We understand that an over-enthusiastic licensing officer had reported the company to the Council’s enforcement team when the company went to renew their taxi and private hire vehicle licenses. Having had it drawn to their attention the Council had to act and so asked the company to submit a retrospective application. Pure Town Planning were instructed to handle the process and we put together the correct documentation and plans and efficiently secured the planning consent leaving the company to carry on functioning as usual. If you have received a letter from the Council claiming that you have undertaken unlawful development then you should always take professional advice. Remember the Council is not always necessarily correct and sometimes they can demand a planning application which is not required. Why not contact Pure Town Planning and take advantage of our free half-hour consultation?